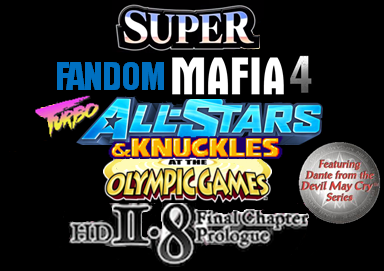 Welcome to Super Fandom Mafia 4 Turbo All-Stars & Knuckles at the Olympic Games HD 2.8 Final Chapter Prologue! 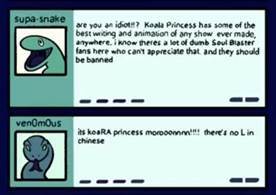 You can call it Fandom Mafia 4 if you want. You might not even get modkilled for it. The concept of Fandom Mafia is simple. After everyone signs up, I will assign each person a role based on a character from one of their favorite books/games/shows/etc. If you want to provide a list of some of your current interests, you can. If not, it will be a surprise based on what I already know you like. Oh yeah I'm gonna throw in even more wacky roles this time. Just you wait. Last edited by Vipera Magnifica; 07-13-2016 at 07:43 AM. Last edited by Stryke; 07-11-2016 at 09:08 PM. ...And, you know. The rest. Signing up! Maybe this will make me more active. And you know them all, we are mutuals on tumblr after all. Alright, I'll keep this open one more day, then I'll start writing roles. Okay, sign-ups are now closed. I'll be sending out role PMs in the next day or two.